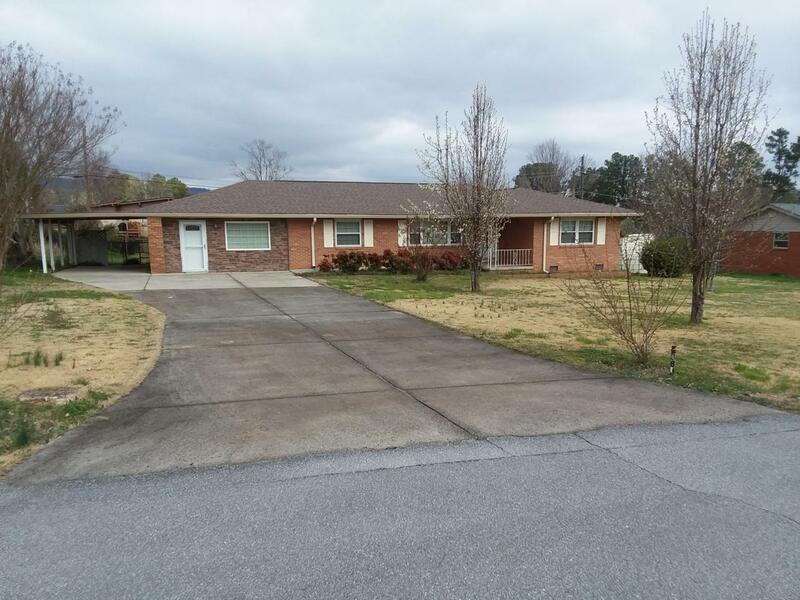 Welcome home to this solid built rancher nestled away in a peaceful, quiet Flintstone, GA neighborhood. As you enter onto the main road in front of the home you can't help but notice the views of scenic Lookout Mountain. When you pull into the wide concrete driveway your attention automatically goes to the large level front yard with all of its low maintenance landscaping. As you enter into the home you see the wide open floor plan and your eyes turn to the recently renovated kitchen with its granite counter tops/tile back splash and new convection oven. As you walk through the rest of the home you will see the newly painted 3 bedrooms with plenty of natural light gleaming through the newer vinyl windows. The shared main bath has a handicap accessible shower and is large enough toeasily accommodate anyone with needs. This home also boasts a large 18'x18' room that has its own front and rear entrance and could have many different uses. There are many other great features about this home, large laundry room, attached workshop with plenty of storage, newer dimensional shingle roof, large single car carport, fully fenced back yard with wide entry gate and much, much more! Come see this jewel of a home that is minutes from downtown Chattanooga.